Sleeping with the Monster (story collection), Lethe Press, coming Fall 2018. Order here. “Weegee, Weegee, Tell Me Do,” Tales From a Talking Board, Word Horde, Oct. 2017. Order here. “Boisea Trivittata,” Looming Low Vol. 1, edited by Sam Cowan and Justin Steele, Dim Shores, August 2017. Order: Trade Paperback or Deluxe Hardcover. “Surrender,” Songs My Exes Ruined, Zine Trilogy, Ladybox Books, TBA 2017. 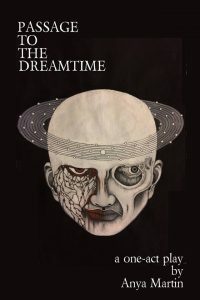 Passage to the Dreamtime, limited edition chapbook illustrated by Kim Bo Yung, Dunhams Manor Press, June 2017. Order here. “The Un-Bride, or No Gods and Marxists,” Eternal Frankenstein, edited by Ross E. Lockhart, Word Horde, 2016. 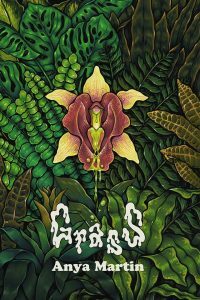 Grass, limited edition chapbook illustrated by Jeanne D’Angelo, Dim Shores, 2016. “Black Stone Roses and Granite Gazanias,” Mantid Magazine, Issue #2, 2016. Direct link to story here. “Window,” Borderlands 6, edited by Thomas F. Monteleone, Borderlands Press , 2016. “A Girl and Her Dog,” Xynobis, Issue #2, Dunhams Manor Press, 2015. “Old Tsah-Hov,” Cassilda’s Song, edited by Joseph S. Pulver, Sr., Chaosium, 2015. “The Prince of Lyghes,” Cthulhu Fhtagn!, edited by Ross Lockhart, Word Horde, August 2015. “Sensoria,” Giallo Fantastique, edited by Ross Lockhart, Word Horde, May 2015. “Resonator Superstar!” Resonator: New Lovecraftian Tales From Beyond, edited by Scott R. Jones, Martian Migraine Press, 2015. “The Toe,” Feet, edited by Jordan Krall, Dynatox Ministries, 2014. “Dolly Dearest,” with artist Holly Golightly, Nightmare Theatre, Chaos Comics. “Still Life with Peckerwood,” with Philip Nutman, Gahan Wilson’s Ultimate Haunted House, Harper/Prism, and Cities of Night, ChiZine Press. “The Devil’s March,” with Philip Nutman, Dark Destinies 3: Children of Dracula; White Wolf. “The H-Word: The Weird at the World’s End.” Nightmare Magazine, February 2017 (Issue 53). ATLRetro.com, A Comprehensive Guide to the 20th Century in the 21st Century, Chief Correspondent/Editor/Publisher. 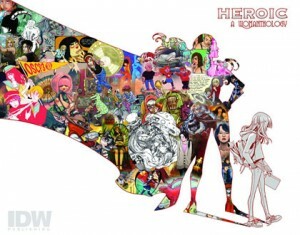 “Lost Weekend in Brighton: A Report on World Horror Convention 2010.” Strange Horizons, June 28, 2010. “Twilight Of The Old Gods: How political suppression gave birth to nationalism and the birth of Coptic Christianity in Egypt,” Mythic Passages. 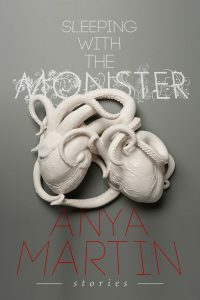 Anya Martin has also written thousands of articles which have appeared in MarketWatch.com, The Wall Street Journal, Los Angeles Times, Miami Herald, Marvel Age, Splatter Punks 2: Over The Edge (Tor), Mythic Passages, Chaos! Comics, Atlanta Business Chronicle, Atlanta NOW, Atlanta Magazine, Atlanta Style and Design, Jezebel, Georgia Trend, Maximum Rock n Roll, The Comic Buyer’s Guide, FLUX, Inside Comics, Sequitar Journal and many more.